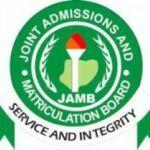 If you have ever wondered about the best order to answer Jamb questions so as to finish on time, this article is for you. You are about to learn the Jamb time management skills. Let me begin by saying that, “75% will not be able to finish everything in Jamb exam hall”. This could be due to different factors. ne of the factors that can prevent you from answering all Jamb questions is the order in which you attempt questions. Now you may be asking, what order is best in answering Jamb questions? I will go into that right now. In 2017, Jamb reduced the number of UTME questions for candidates. And as usual, it will be marked over 400. What if Jamb English is my best subject? That’s a good question. You should still not begin with it. This is as a result of the fact that you will begin to analyze and enjoy the passages without consciousness of time. However, You are free to answer it as your third subject.